We found that the dogs tended to mirror their owners in relation to relative weight gain. Bigger owners tended to have bigger dogs, smaller owners had smaller dogs. Although there were several cases where larger owners had smaller dogs and vice versa. 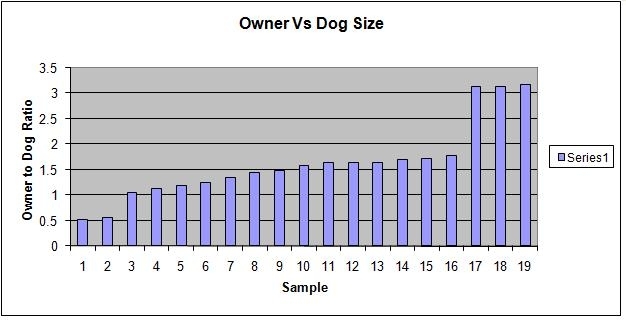 The dog vs owner relative size centers around 1.5. One photo used to determine the owner vs dog ratios.